EPE Trade is a premier distributor of high quality small domestic appliances and cookware in UK. They deal in premium brands such as Ascaso, Bosch, Breville, Crockpot, Cuisinart, Delonghi and many others. It is a family-run business based at West Yorkshire, England. They have carved a niche for themselves in the cook shop and electrical retail market. EPE Trade contracted Pulse Solutions to build a website to promote their premium quality goods. The website was built on the award winning Pulse DNN cart technology. It is simple, neat and easy to navigate. Ecommerce technology was used to enable easy and convenient online shopping. 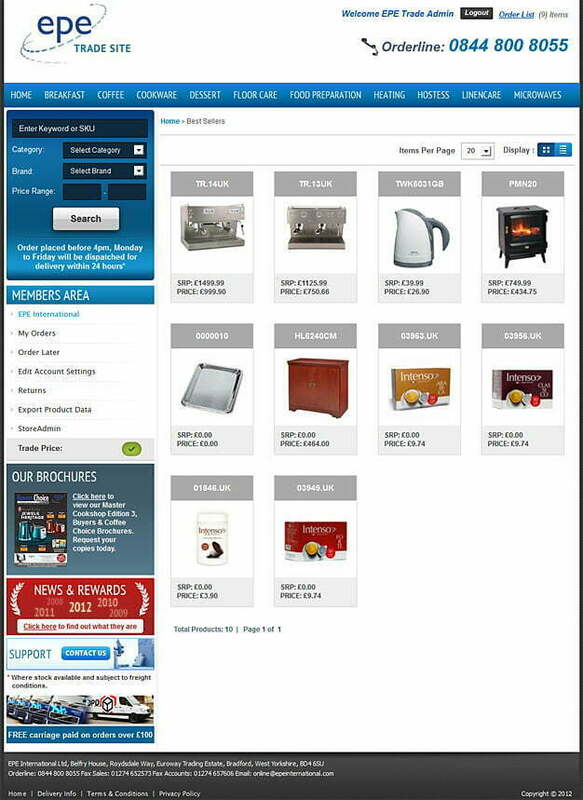 For supreme quality kitchenware, trade only at EPE Trade. Contact us for your ecommerce website today!